To introduce the new BP gas field Khazzan and to share his rich practical experience in the oil and gas sector with a large number of Bachelor students in geosciences and engineering, Dr. Edward Warren, Geological Operations Manager for BP Oman gave a presentation entitled “Khazzan Field, Block 61 Oman: Optimisation of the field development plan through continuous learning and technology” at the German University of Technology in Oman (GUtech) last week. 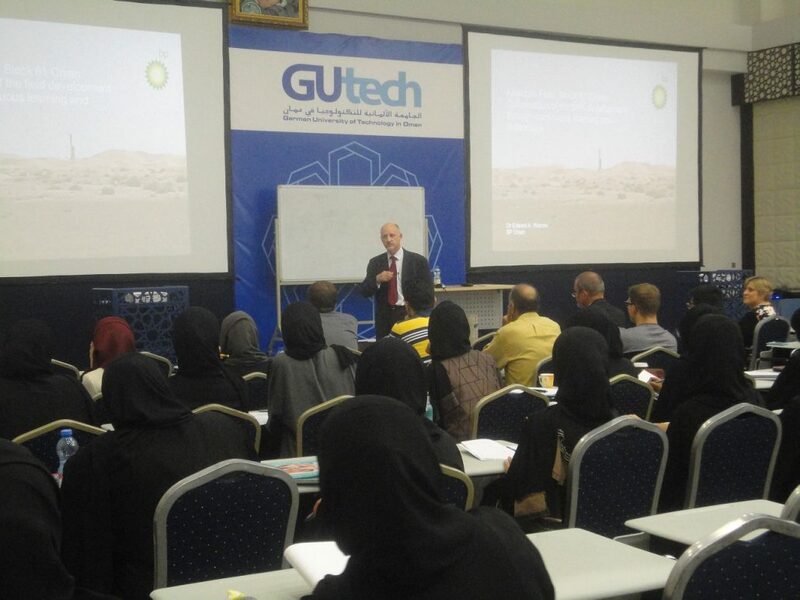 The talk was part a series of industry talks organized by the Faculty of Science at GUtech. The Khazzan Project (Block 61) is the largest unconventional gas project in the Middle East, aiming to produce around 1.5 billion cubic feet of gas daily by 2020. BP Oman is expected to deliver first gas by end of 2017 from deeply buried unconventional so-called Barik and Amin reservoirs. Dr Edward Warren commented “The 10.5 trillion cubic feet of recoverable gas reserves are located in extremely old, dense and hard rocks some five kilometres beneath the surface. Both drilling through the rock and the hydraulic fracturing required to coax the gas into a borehole and out of the well require advanced expertise and technology.” During his presentation the geoscientist explained drilling optimization technologies to optimize the maximum amount of gas explored for the lowest cost, and that BP Oman is developing Omani capabilities to be part of this project. To date over 50 Omani graduates have been recruited and undergo tailored career plans as well building skills in other disciplines. Dr. Edward Warren is a geologist by profession. He graduated in geology from Cambridge University, and obtained a PhD in Sedimentary Geochemistry from University of Sheffield. 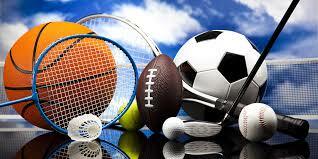 He also holds an MS in Petroleum Engineering from University of Texas at Austin. He joined BP 28 years ago and has worked on giant oil and gas projects around the world including Cusiana Field, Colombia; ACG, Azerbaijan; Columbus Basin, Trinidad; Blocks 18, 31 and pre-salt exploration, Angola and, most recently, Khazzan Field development in Oman.